CBD Isolate or Full-Spectrum Oil? What’s the Difference? 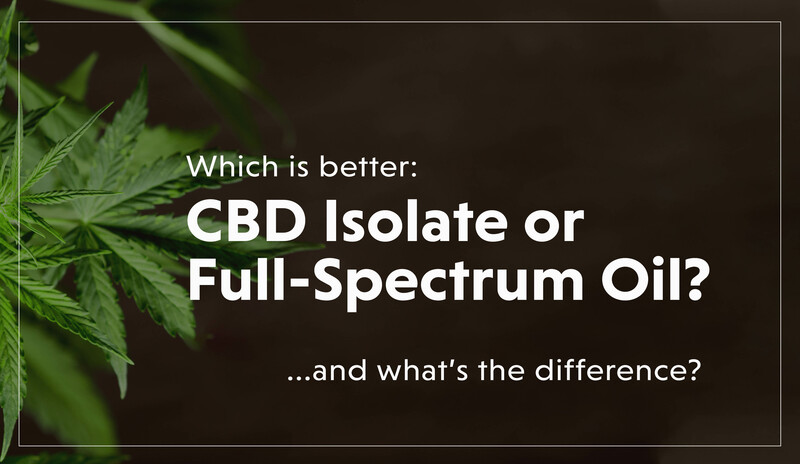 There’s a lot of confusion about the difference between CBD isolate and full-spectrum CBD oil. But the fact is that every one of us has been exposed to a dramatic example of the important difference between isolates and “full-spectrum” compounds. It happened around 15 years ago—we just didn’t realize it while it was happening. Think back, for a moment, to that famous 2004 beta-carotene study that everyone in country was talking about. Researchers wanted to find out what would happen if you gave beta-carotene—then considered a very promising antioxidant supplement—to smokers for a period of 4 years. The researchers (and everyone in vitamin-land) hoped the supplement would reduce the number of deaths. The opposite happened—those given the beta-carotene supplement actually had a 28% increase in the risk of lung cancer and a 17% increase in the risk of death.1 In that study, beta-carotene was a perfect illustration of an “isolate." It’s not that isolates are always “bad”—it’s just that they’re rarely if ever found in nature. There are actually over 600 carotenoids in the carotenoid family and beta-carotene is never found by itself; it’s always surrounded by other carotenoids, flavonoids, and other phytochemicals. When it’s surrounded by its “entourage,” beta-carotene does great things. When it’s chemically “isolated” from its natural environment, the results are—to put it mildly—disappointing. 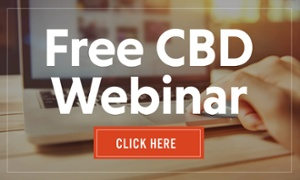 CBD is a cannabinoid—a family of plant compounds that has about 100 members. CBD “isolate” is like the beta-carotene in the aforementioned experiment. It’s been “isolated” from its environment of other plant chemicals, like terpenes and other cannabinoids. Isolating a compound from its natural environment makes it possible for drug companies to do research on it. CBD isolate is a wonderful subject for research and drug development—but it’s not necessarily the best way to get your CBD. 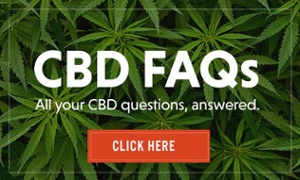 A “full spectrum” hemp oil and a CBD isolate may contain the exact same amount of CBD—but a full-spectrum oil will contain a lot more than CBD. Full-spectrum oils, for example, will also contain the aforementioned (and powerful) plant chemicals called terpenes. Terpenes are aromatic chemicals that are found not only in hemp but also in plants like cinnamon and ginger. Terpenes—also referred to as terpenoids—help CBD do its job better. In fact, there’s even a name for the way all these plant compounds work together in an almost mystical, synergistic way­—it’s called the entourage effect. Now think of your favorite Mick Jagger solo song. So, if you’re wondering whether to get CBD isolate or a full-spectrum hemp oil, ask yourself the following question: Do you want Mick Jagger solo? Or do you want the Rolling Stones? 1. J Natl Cancer Inst. 2004 Dec 1;96(23):1743-50.